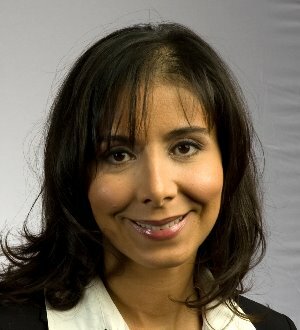 Franca Harris Gutierrez is a partner in the firm's Regulatory and Government Affairs Department, and a member of the Financial Institutions Practice Group, the Consumer Financial Protection Bureau Working Group and the FinTech Group. She joined the firm in 1999. Ms. Gutierrez maintains a broad financial institutions regulatory, transactional, and counseling practice. Ms. Gutierrez represents domestic and international financial institutions on a wide range of US regulatory matters. She has extensive experience representing clients before the Federal Reserve Board, Federal Reserve Banks, the Office of the Comptroller of the Currency, the Federal Deposit Insurance Corporation, the Consumer Financial Protection Bureau, and state banking regulators including the New York State Banking Department. Her counseling practice includes new product development, bank powers and activities, anti-money laundering compliance, payments, consumer credit and protection, controlling and non-controlling investments, and federal and state licensing. Her transactional work on behalf of financial institutions includes the negotiation and documentation of acquisitions and divestitures, reorganizations, joint ventures, and technology transactions. Ms. Gutierrez has represented clients in supervisory and enforcement matters involving the US federal banking agencies and has conducted sensitive internal investigations for financial institution clients. Prior to joining WilmerHale, Ms. Gutierrez was an attorney in the Office of the Comptroller of the Currency (OCC). As part of the Office of the Chief Counsel, she handled special projects on top priority policy issues for the agency. Before working in the Chief Counsel's Office, Ms. Gutierrez served in the OCC's Northeastern District in New York, where she handled a broad range of regulatory and enforcement matters.